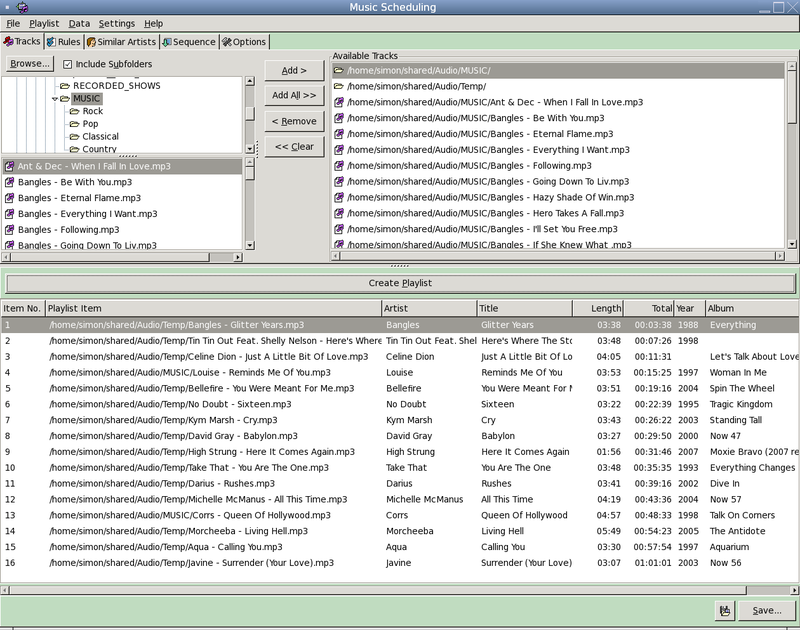 This version of Music Scheduling is no longer available. 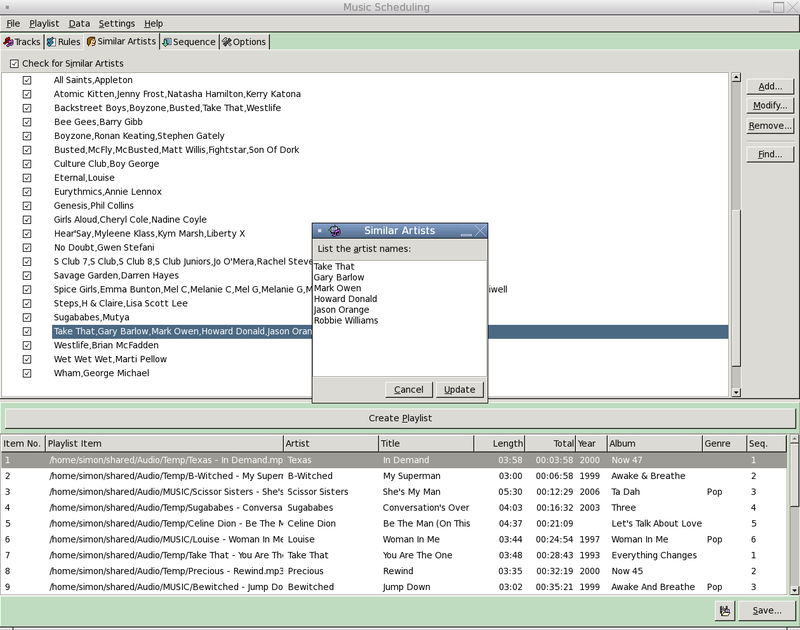 Click here for details on the latest version of Music Scheduling. 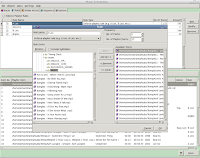 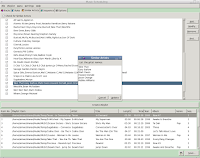 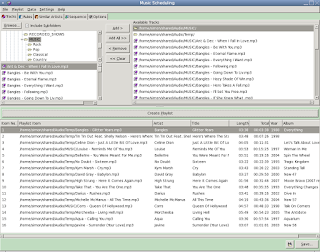 Version 2.1 includes the option to add specific audio files to your playlist's Sequence, filter the list of tracks, find the next occurrence of particular info in a playlist, option to use relative paths in saved playlist files, option to print your playlist and to immediately open your playlist file after saving. 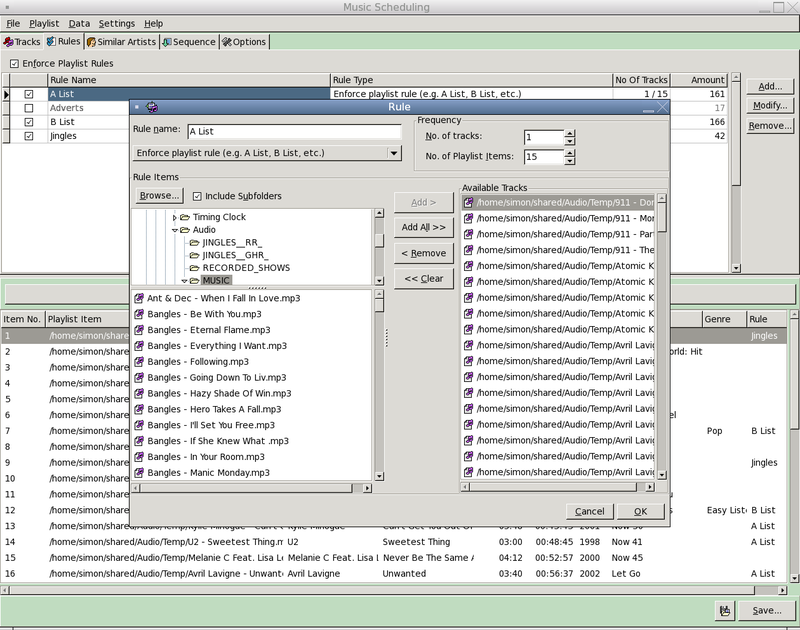 A full list can be found in the product documentation.